The semi-postal shows a Mercator projection of the world with French colonies shaded. 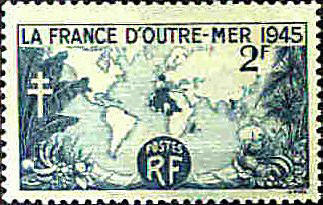 The banner at the top reads "La France D'outremer 1940." 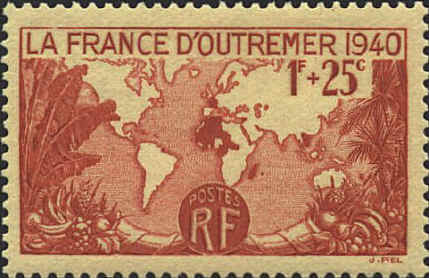 In 1945 a regular postal stamp was issued with the same design but with the "D'outre-mer" spelled correctly. B96 is Scarlet in color while 560 is Prussian Blue.